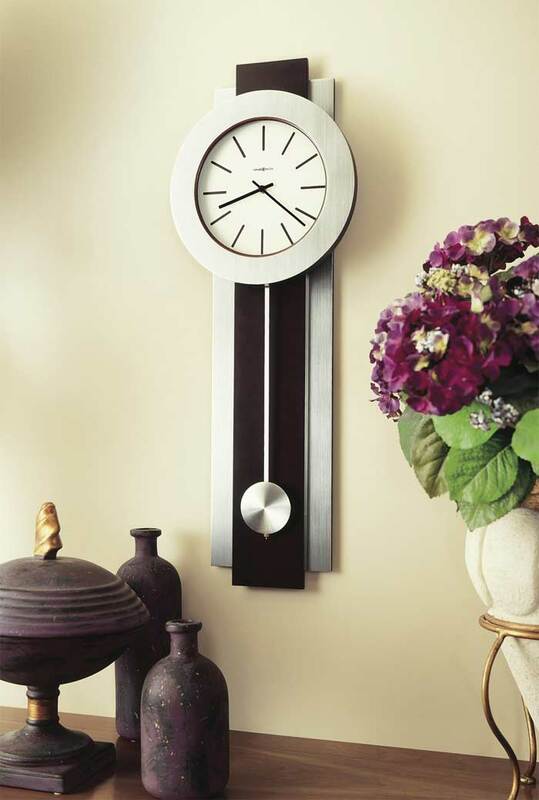 The Howard Miller 625-279 Bergen is at home in the most up-to-date atmospheres, this wall clock combines a Merlot Cherry finish with brushed nickel accents. 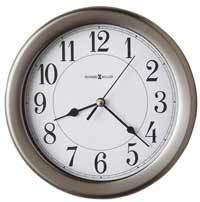 The brushed nickel-finished pendulum will swing, while not affecting the time keeping on the clock. The bezel add to the contemporary styling. The crisp white dial features black bar hour markers and black hour and minute hands. Finished in Merlot Cherry, a very dark maroon finish that is leaning toward black on an injected molded body. Quartz, battery operated non-chiming movement. 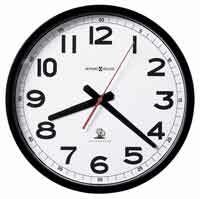 Clocks for sale at The Clock Depot including the 625-279 at discount prices.